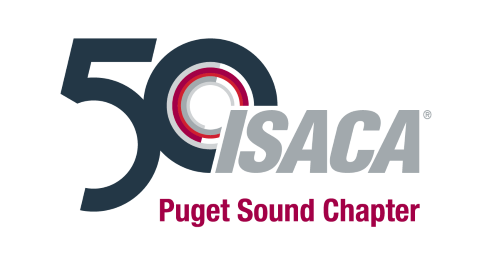 The name of this non-union, non-profit organization shall be ISACA Puget Sound Chapter, hereinafter referred to as “Chapter”, a chapter affiliated with the Information Systems Audit and Control Association (ISACA), hereinafter referred to as the “Association”. The Chapter, apart from its innate affiliation with the international Association, is an independent entity from any other association, enterprise, or entity. The primary purpose of the Chapter is to promote the education of individuals for the improvement and development of their capabilities relating to the auditing of, management consulting in, or direct management of the fields of IT/IS governance, risk management, control and assurance. To promote the Association’s professional certifications and IT/IS governance. Retired Member — Any Member who indicates they are retired, subject to rules established by the Association Board. Retired Members shall be entitled to vote and hold office at the Chapter level. Student Member — Any full-time student currently enrolled in a degree program of an accredited college or university, subject to rules established by the Association Board. Student Members shall be entitled to vote and hold office at the Chapter level. Recent Graduate Member — Any individual that has graduated from a recognized college or university within the last two (2) years. Recent Graduate Members shall be entitled to vote and hold office at the Chapter level. Chapter dues shall be payable each year in an amount determined by the Chapter Board, plus Association dues, and within the timeframes established by the Association. Dues and fees must be paid in full to ISACA International. Resignation — any Member who resigns shall not be entitled to a refund or pro-rated discount of his/her annual membership dues. Educational sessions of the Chapter membership shall be held once a month from September through May, or as otherwise determined by the Chapter Board. The Annual General Meeting shall be held in May, for electing Officers or announcing the results of officer elections if the election was held electronically, receiving reports of Officers and Directors or Committees, and for any other business that may arise. The date and location of the Annual General Meeting shall be determined by the Chapter Board. Special Meetings may be called by the President or the Chapter Board. The purpose of the meeting shall be stated in the call or electronic communication used when notifying Members of the Special Meeting. If required, paper, postal mail, or electronic means may be used for the purposes of membership voting on resolutions approved by the Chapter Board, and such correspondence will be considered a Special Meeting for the purposes of these Bylaws. Annual Chapter Officer elections shall occur either at the Annual General Meeting, or through electronic voting by the membership for Chapter Officers, at the discretion of the Chapter Board. The quorum for the Annual General Meeting or a Special Meeting shall be twenty-five (25) Members. In absence of a quorum, the meeting shall be adjourned and reconvene within forty-five (45) days. The new date and time will be communicated to Members as soon as reasonably possible. The affirmative vote of the majority of the Members present and voting at any Chapter meeting shall constitute an Act of the membership, unless a greater proportion is required by applicable Washington law, the Articles of Incorporation, or these Bylaws. Members shall be notified at least thirty (30) days in advance of the Annual General Meeting. Members shall be notified at least ten (10) days in advance of any Educational or Special meeting, except in case of an emergency. Notification may be by postal mail, email, website, or by telephone. The Chapter may deliver to a Member notices, demands, consents or waivers by electronic transmission, unless Members indicate otherwise to the Chapter, all communication required in these Bylaws, including meeting notices, may be sent electronically. The Chapter shall have five (5) Officers, constituting: President, Vice President, Secretary, Treasurer, Immediate Past President, and up to twelve (12) Director/Coordinator Positions. The Chapter Officers, except the Director/Coordinator Positions and the Immediate Past President, shall be elected for a term of one (1) year, or until their successor is elected and assumes office, or until they resign or are removed from office. Chapter Directors/Coordinators shall be appointed by the Board for a term of one (1) year, or until their successor assumes office, or until they resign or are removed from office. The Board shall assign them Director/Coordinator duties. Newly elected Chapter Officers shall be installed and take office at the beginning of the Fiscal Year. Official duties will commence after the Chapter Board Turnover Meeting. No Member shall hold more than one (1) Chapter Office at a time, and no Member shall be eligible to serve more than two (2) consecutive terms in the same Chapter Office, unless otherwise approved by the Chapter Board. The Chapter Officers shall perform the duties prescribed by these Bylaws, and the Parliamentary Authority adopted by the Chapter in Article XII. Manage and communicate to the membership about Chapter sponsored or endorsed events. Coordinate all conference activities (e.g., speaker’s resources, participant sign-in, CPE certificates, scheduled breaks, etc.) during the event. Plan and conduct Chapter CISA and/or CISM exam review courses. Assist in any/all additional activities deemed pertinent by the board in the interests of ISACA Puget Sound Chapter. Plan and coordinate meetings of Chapter members with Student groups in concert with efforts of the CSX Liaison. Other assignments as assigned by the Chapter Board. Manage the Chapter e-mail accounts. Maintain social media accounts, such as LinkedIn. If a vacancy should occur in any other office, except that of Immediate Past President, the vacancy shall be filled by the Chapter Board. If a vacancy occurs in the office of Immediate Past President, the vacancy shall remain vacant until filled by routine succession. If a Chapter Board Member’s membership in the Association terminates for any reason, that individual’s position as Chapter Board Member shall automatically become vacant. Nominations shall be open and will be declared open by the President at the Educational meeting in the month of January or February. Nominations shall then be accepted from the floor from any Member of the Chapter. Nominations may also be solicited through electronic communications. Ballots may be distributed and collected in person at the Annual General Meeting, or through electronic communications at the discretion of the Chapter Board. In the event, there is only one candidate for any office, voting on that office may be by voice. Regular Board Meetings may be held in person or via conference call at the discretion of the Chapter President. Board meetings should be held once a month from September through May) and at least once during the summer at a time and place determined by the Chapter Board, unless otherwise approved by the Chapter Board. Special meetings of the Chapter Board may be called by the President, and shall be called upon the written request of all members of the Board. Notice must be given at least 48 hours before a Special Meeting of the Chapter Board and must include the purpose of the meeting. A “Chapter Board Turnover Meeting” shall be held in June, July, or August of each year, following Chapter elections, to transition Chapter leadership roles. All outgoing and incoming officers and directors will be expected to be in attendance. Board Meetings may be held via conference call or in person. Meeting notifications must be communicated at least forty-eight (48) hours in advance. Each Board Member should seek recognition from the President before beginning to speak, and each Board Member should identify himself or herself prior to speaking. Motions will be voted on by voice vote. If the President or meeting chair has a problem determining the vote, he or she may call for a roll call vote. The roll call vote is for determination of the outcome of the vote and shall not be recorded in the minutes. Voting can also be done through electronic communications as determined by the President. The minutes of the meeting shall be approved at the next meeting, or through electronic communication as determined by the Chapter Board. Supervise the affairs and conduct the business of the Chapter between Educational meetings. Perform the duties prescribed in these Bylaws and the Parliamentary Authority adopted by the Chapter, as described in Article XI. Non-budgeted expenditures over $2,000 must be pre-approved by the Chapter Board. The Fiscal Year of the Chapter shall run from June 1st to May 31st unless otherwise established by the Chapter Board. The Chapter Board shall ensure that an annual financial summary is prepared, approved by the Chapter Board, presented to Members at the Annual General Meeting, and submitted as part of the Chapter Annual Report to the Association. Any member of the Board of Directors who fails to attend 3 consecutive board meetings within a fiscal year or 3 consecutive committee meetings within a fiscal year will be discussed within the Board and may be removed from office by a majority vote of the Board of Directors. Any Board Member may be removed with cause, at any meeting of the Board, by a majority vote of the members of the Board of Directors then serving. An Audit Committee or designee shall be established to engage and provide oversight to the annual external party review of the Chapter’s financial statement results. Annually, the Audit Committee, or designee, will provide a report to the Board on results of the review and any identified corrective action to be taken. Additional committees may be created, as necessary, by the Chapter Board. The Chapter shall indemnify any and all of its Directors or Officers or former Directors or Officers or any person who may have served at its request or by its election as a Director or Officer of the Chapter, against expenses actually and necessarily incurred by them in connection with the defense or settlement of any action, suit or proceeding in which they, or any of them, are made parties, or a party, by reason of being or having been a Director or Officer of the Chapter, except in relation to matters as to which any such Director or Officer or former Director or Officer or person shall be adjudged in such action, suit or proceeding to be liable for willful misconduct in performance of duty and to such matters as shall be settled by agreement predicated on existence of such liability. The indemnification provided hereby shall not be deemed exclusive of any other rights to which anyone seeking indemnification may be entitled under these Bylaws, agreement, vote of the Members, or disinterested Directors or otherwise, both as to action in his or her official capacity and as to action in another capacity while holding such office. If dissolution of the Chapter becomes inevitable, these Bylaws must be rescinded by a two-thirds (2/3) vote of the Chapter membership after ten (10) days’ notice has been mailed or emailed to each Member. This vote may be conducted electronically as stated in Article IV, Section 4. In the event of dissolution, the Chapter shall notify the Chief Executive Officer of the Association, in writing, indicating the reason(s) for dissolution and shall return the Chapter Charter and any other Chapter or Association documents to International Headquarters. All net assets shall be distributed to other selected ISACA chapters, or to a welfare, education, or civic project designated by the Chapter membership, pursuant to Section 501 (c) of the US Internal Revenue Code with the approval of the Association’s International President and Chief Executive Officer. The Chapter Board shall approve all suggested changes to these Bylaws and forward them to the Membership Division of the Association, with changes indicated. The Association must give approval to all Bylaw changes prior to them being submitted for a vote by Chapter membership. Chapter Bylaw Amendments will be approved at the Annual General Meeting, or a Special Meeting by a two-thirds (2/3) vote, provided the Amendment has been submitted in writing at the previous meeting, or has been mailed, or emailed to the entire Chapter Membership, or posted to the Chapter website at least ten (10) days prior to the meeting at which it will be considered. Material changes will be reviewed and updated by the Board as appropriate and sent to the membership for final approval prior to Amendment adoption. If there is a need to change the Bylaws due to a change in Washington State Law, or requirements provided by the Association, then Chapter Bylaw Amendments will be approved at a Chapter meeting, provided the Amendment has been submitted in writing at a previous meeting, or has been mailed or emailed to the Chapter membership, or posted to the Chapter website at least ten (10) days prior to the meeting at which it will be considered. The Membership Division of the Association will be advised that the Bylaw Amendments have been approved, and will be sent a copy of the approved version of the Bylaws to the Association. The Chapter Board shall conduct a periodic, ideally annual, comparison of the Chapter practices to the Bylaws. The Chapter must ensure compliance of these Bylaws with the Association's Bylaws and any applicable Federal or State requirements.